It looks like Amazon's Android-powered tablet we heard about previously will soon be a reality. TechCrunch reported today that at Amazon's press event this Wednesday, the online shopping giant will unveil the Kindle Fire, an Android-based tablet named to differentiate itself from its e-ink cousins. The tablet runs a custom version of Android including Amazon's own app market. Little is known about the Fire's hardware, other than the fact that it's sporting a 7" backlit display and possibly a Texas Instruments OMAP 4 processor. 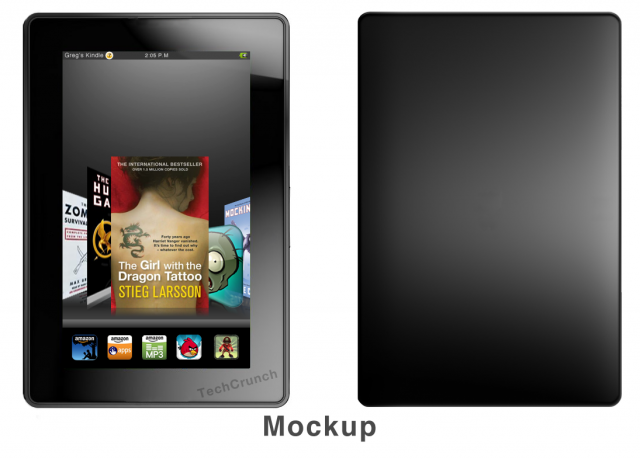 The Kindle Fire's hardware specs are not the only thing the tablet has to offer however. Many are speculating that a last-minute deal with FOX indicates a strong media focus for the tablet, bringing sophisticated streaming capabilities and a slew of media options. Additionally, the Kindle Fire is said to be arriving with a low price tag of just $250, great news for would-be Android tablet owners on a budget. The only bad news is that the Kindle fire won't be available until mid November. This is particularly interesting, because Barnes & Noble is said to be preparing the Nook Color 2 for release next month. Whether Amazon's entry to the Android tablet market will be able to overshadow the release of the Nook Color 2 remains to be seen, but we'll be providing more information surrounding the Kindle Fire as it becomes available.